We’re at it again with another Game Crazy weekly giveaway! The two 7″ action figures from last week’s Conan the Barbarian Giveaway have been shipped to a lucky winner, and we now turn our attention to the fourth installment of one of the most popular modern slasher franchises, Scream! Scream 4 returns the audience to the idyllic town of Woodsboro fifteen years after the first Ghost Face massacre. As heroine Sydney Prescott returns to the town to promote her new book, a series of murders occur, all with the hallmarks of the original Ghost Face killer! Keep reading to learn how you can win a spooky Ghost Face action figure and fun Headknocker! 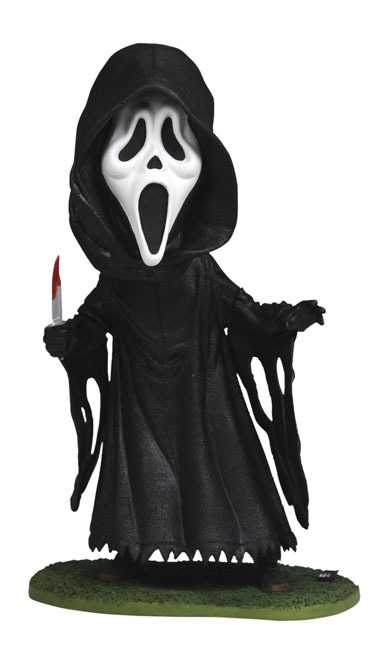 Scream 4, the modern slasher legend returns with this highly detailed resin bobble head of Ghost Face. Standing over 7” tall with bloody knife in hand and cell phone near by Ghost Face is ready for his next victim. With four movies to his name, the chilling figure of Ghost Face from Scream has truly become the the modern icon of horror! This new 7″ scale action figure pays tribute to the original “classic” version from the first movie in 1996. 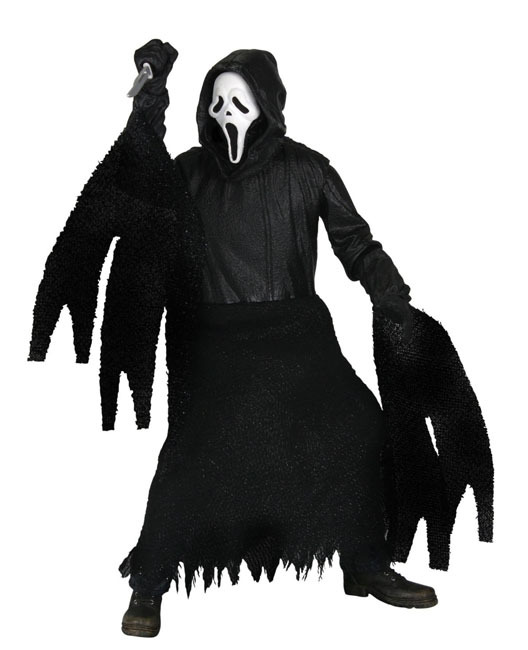 It has over 14 points of articulation plus fabric robe skirt and sleeves for maximum poseability. Comes complete with knife accessory. This entry was posted in Contests & Giveaways and tagged action figures, Ghost Face, Ghost Face headknocker, Scream, Scream 4 by mgadmin. Bookmark the permalink.